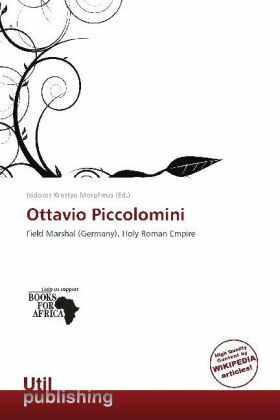 Ottavio Piccolomini (November 11, 1599 August 11, 1656) was an Italian general who served as Generalfeldmarschall of the Holy Roman Empire. Piccolomini was born in Florence, and carried a pike in the Spanish service at the age of sixteen. Two years later, on the outbreak of the Thirty Years' War in Bohemia, he was appointed a captain in a cavalry regiment sent by the grand duke of Tuscany to the emperor's army, and he fought with some distinction under Bucquoy at the battle of White Mountain in 1620 and in Hungary.